Assistant Manager Jessica explored Japan on our Highlights of Japan: Tokyo to Kyoto tour. 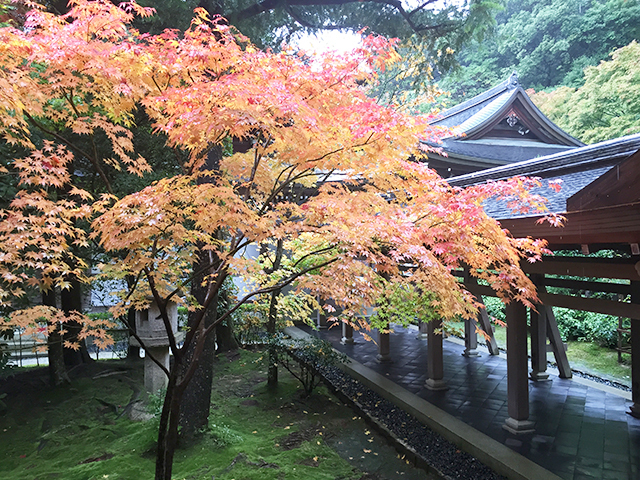 While many consider visiting Japan just for the cherry blossoms in the spring, Jessica’s trip opened her eyes to the beauty the country experiences in the autumn. Here, she shares five reasons you should visit Japan in the fall. I could probably make this numbers one through five, but I’ll keep it to just this spot. The colors of Japan completely blew me away and I found myself literally gasping at the views. On the tour itinerary, we had multiple occasions to see both sprawling views of the country (from the Miho Museum and Mount Fuji to the Hakone Open-Air Museum and more) and get up close and personal with nature in quite a few gardens. As we learned, there are almost 20 million visitors to Japan annually, which means there are going to be crowds no matter when you go. But the cooler months yield fewer crowds than the rest of the year, and it was definitely noticeable. Not only was this nice for our sightseeing tours, but it was also a great perk for those brave enough to experience the hot springs au naturel! I am the first to admit that I am not a skilled photographer—my phone camera is often too complex for me. That said, even I was able to get amazing pictures. The sometimes overcast skies produced beautiful lighting, the colors were brilliant and there were fewer people in the way of getting that perfect shot! We lucked out with unseasonably warm weather, but the normal high/lows in November are around 50 to 60 degrees. Yes, there was rain, but I can honestly say it added to the experience. You know that cold, biting, chill-you-to-your-core rain that we get here in the northeast? We experienced the opposite of that in Japan. Any time it rained (which wasn’t very frequently), it felt magical. We all just opened our clear umbrellas ($4 from any street-side store or free on loan from our hotel) and continued on, breathing in the fresh moss and marveling at how the rain made everything sparkle. Our Tour Director shared an old saying, “never visit the stone store in the rain,” because they all look beautiful wet and you’ll buy every stone! I have to agree—there was certainly something special about Zen Gardens in the rain. While some travelers in our group were more adventurous eaters than others, everyone agreed that there was no shortage of interesting, new foods to try! 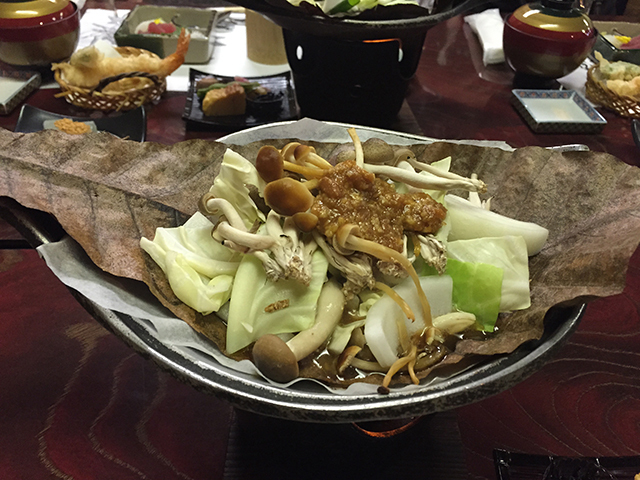 Since we were traveling to Japan in November, we were able to sample many of the aki no mikaku (“taste of autumn”) foods. Some of my favorites were matsutake (a highly sought-after mushroom) and Oyaki dumplings, which are specific to the Nagano prefecture. I’m a pescetarian, and there were many vegetarian and pescatarian options in Japan. The hardest part was figuring out how to ask if something had meat in it, but through a combination of very understanding waitstaff, lots of pointing and an extremely helpful Tour Director, I always ate well! Do you want to visit Japan in the fall? Tell us why in the comments!